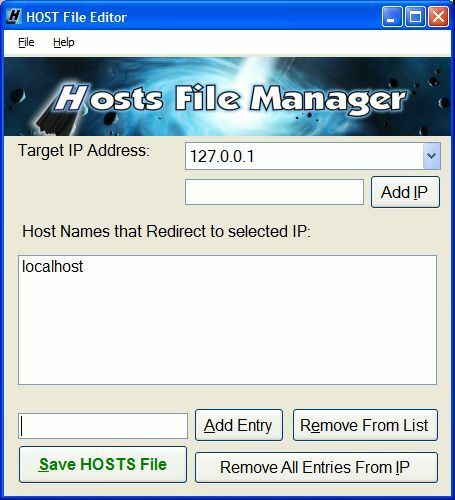 Hosts File Manager allows you to edit the HOSTS file in Windows safely and can fix syntax errors. Using its simple interface, you can map host names to specified IP addresses easily. Manually editing the hosts file can lead to mistakes, which could ultimately lead to a non-functioning hosts file. Hosts File Manager checks and corrects the syntax of the hostnames and IP addresses that you add to the hosts file through the program.